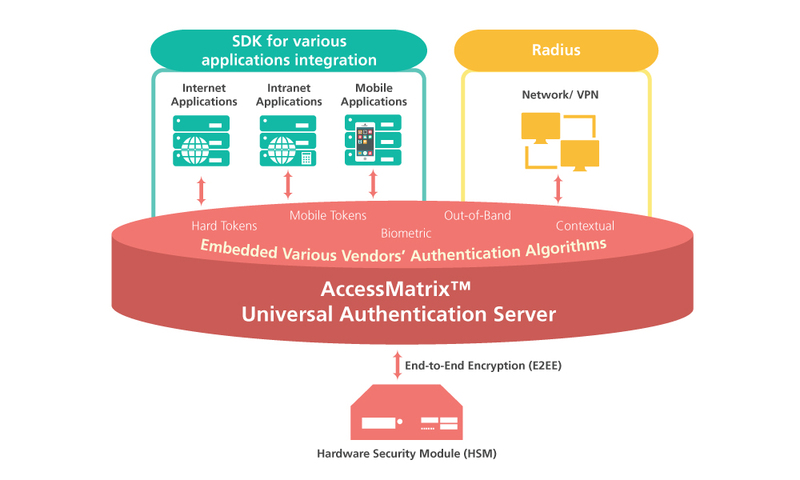 AccessMatrix™ Universal Authentication Server (UAS), is a comprehensive and versatile authentication server that enable organizations to centralize all its authentication schemes in a single unified platform. It is a future-proof authentication infrastructure that supports multiple authentication mechanisms (such as passwords, OTP, biometrics) for strong authentication and authorization requirements. UAS offers the freedom for organizations to deploy various authentication methods from different vendors under one platform, and manage it as a holistic security approach. This means organizations will not be restricted or locked to a specific hardware or software authentication solution. The use of Pluggable Authentication Module (PAM) approach also allows organizations to have ease of adding new methods when available on top of their existing scheme. i-Sprint’s AccessMatrix™ UAS is FIDO UAF Certified. AccessMatrix™ Out-of-Band (OOB) One Time Password (OTP) Module provides a secure authentication solution by using two separate channels to authenticate a user. This solution delivers an OTP to users via GSM Short Message Service (SMS), email, IVR or any message delivery mechanism which is different from the channel that the users interact with the applications.